Are you doctor or a clinic? 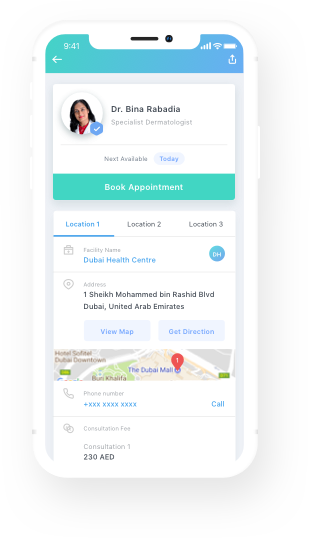 Find & book a doctor by symptoms, speciality, location, insurance, availability, & more! Why Sign up on Okadoc? Are you a doctor looking for more patients? Sign up today! 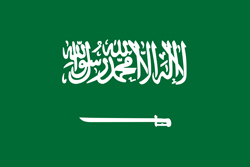 Okadoc is a Dubai tech healthcare company that brings you a greater healthcare experience. 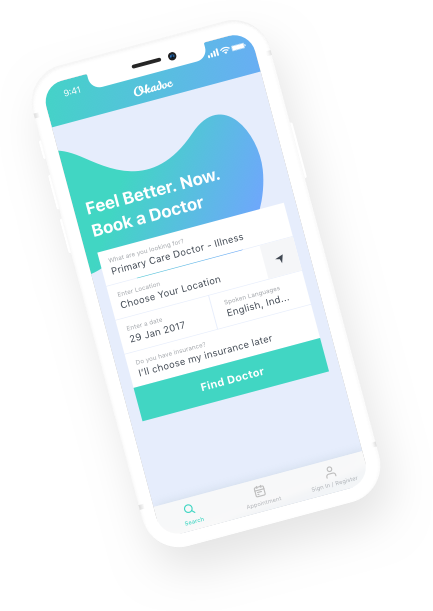 Patients can use the Okadoc app to find nearby doctors, book doctor's appointments online, read doctors review online, and more! 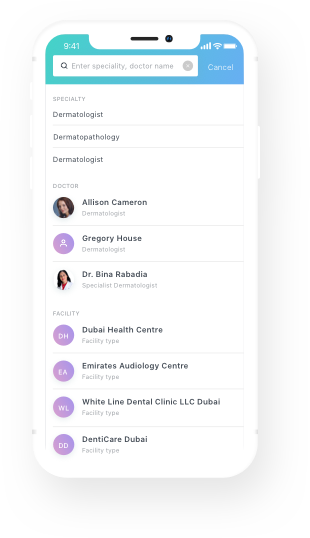 Health providers can also benefit from Okadoc by optimizing doctors’ schedules and reduce no-shows. A practitioner can publicize their background as well as their expertise through Okadoc, strengthening their online presence to attract more patients. 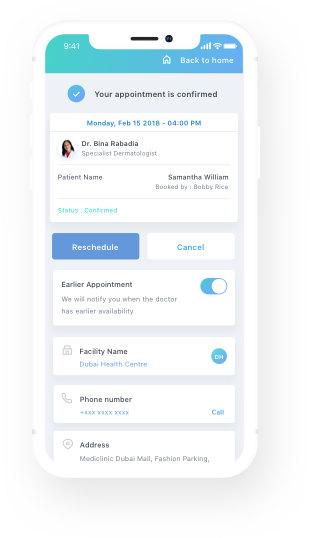 The Okadoc app has a 24/7 intelligent medical calendar system that helps patients manage their bookings online, search doctors by location, see detailed doctors profile, and get doctor's appointment reminders. Okadoc delivers an efficient, seamless, and simple healthcare experience. Sign up for our newsletter, and we will send you the latest updates in healthcare.